I cannot paint for monetary gain. I would rather starve than sell one piece of my work but I know when I depart this world people will stop and wonder at the beauty and truth that I have portrayed. 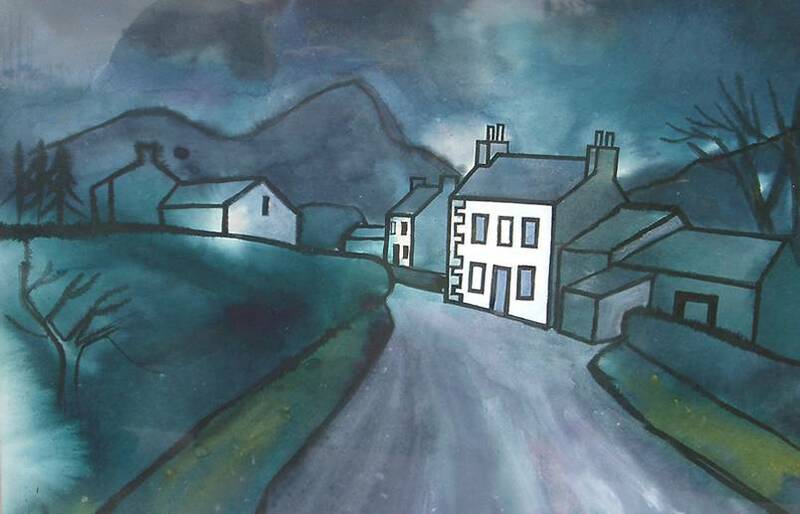 West Cumbria was important to Percy Kelly and he is now important to West Cumbria. 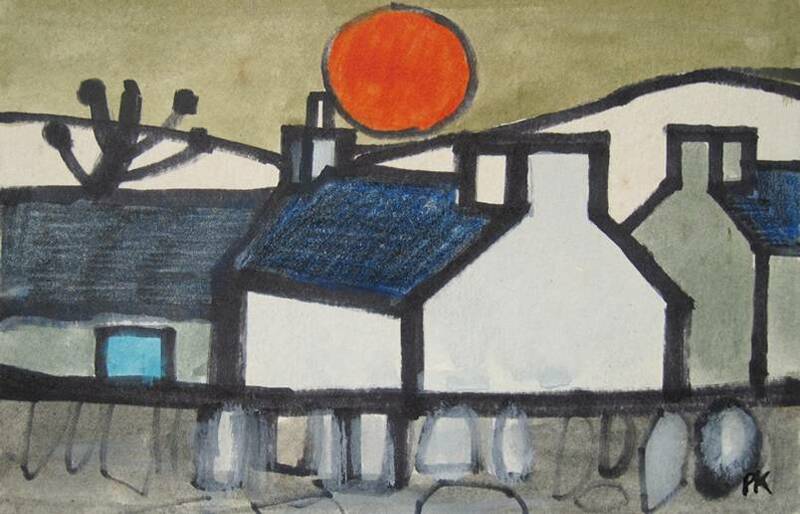 He lived there for more than fifty years in Workington, Great Broughton, Allonby and Whitehaven. His talent in drawing was noticeable from a very early age. He recorded everything he saw around him which now gives us an interesting record of the towns and villages along the Cumbrian coast. Art was a compulsion. A day without drawing and painting led to depression. He had very few exhibitions of his work. He didn’t like to let anything go - he wanted it all around him so when he died in 1993 his cottage was crammed with work. In his lifetime he was hotly pursued by prestigious galleries but repeatedly refused them all. 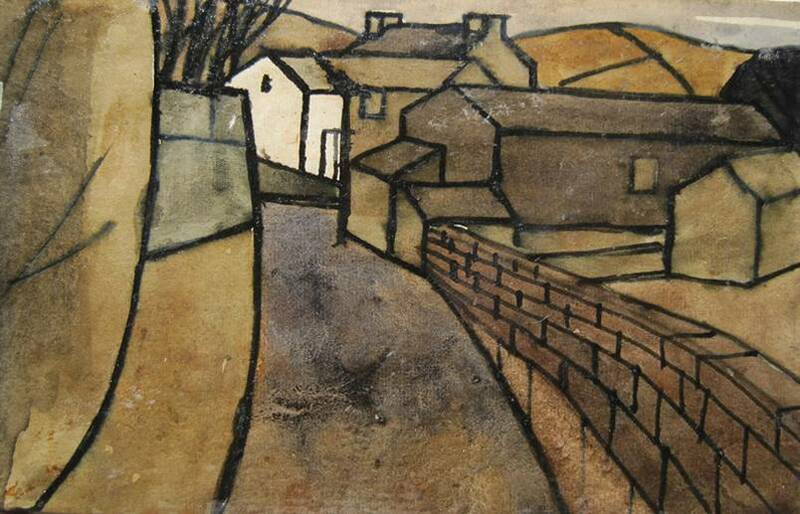 Since his death his work is increasingly sought after and collected. 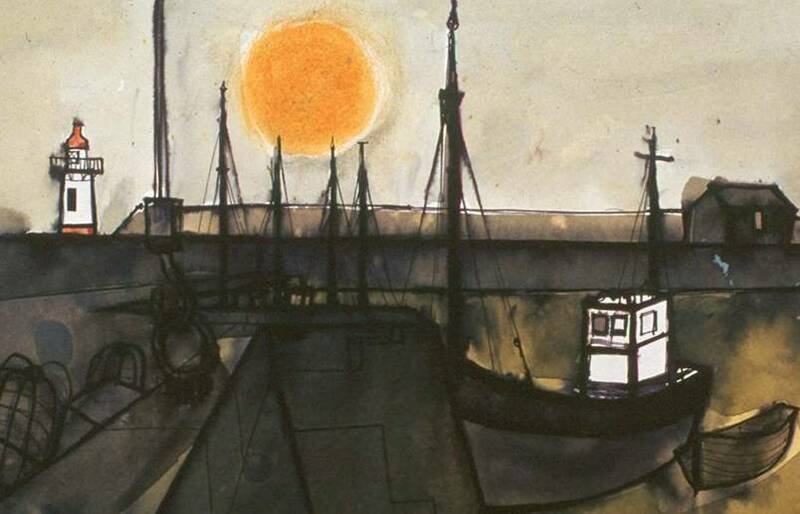 His lasting tour de force will always be the large charcoal and gouache paintings of the coastal harbours. These are the largest works he ever embarked on. His style is assured, confident and emotionally charged. It is sometimes dark but always honest. 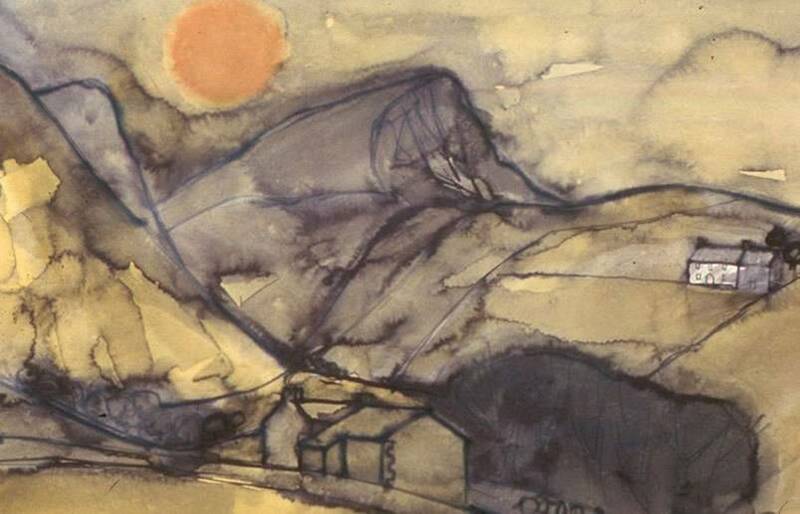 Out of West Cumbria, a region largely marooned by the overly romanticised Lake District, Percy Kelly drew from a darker, more humble landscape. He emphasised the bleakness of the lichen green falls and the steely scales of the distant peaks. He celebrated the forgotten fishing ports which line the industrial coast south of the Solway and the terraces of the mining villages. For him they were places of mist and rain and intense aloneness. This complex man is to be found in every one of his landscapes. ... Each place was deeply felt.